Goodreads: Will Robie and Jessica Reel are two of the most lethal people alive. They're the ones the government calls in when the utmost secrecy is required to take out those who plot violence and mass destruction against the United States. And through every mission, one man has always had their backs: their handler, code-named Blue Man. Kritters Thoughts: I am semi embarrassed to say I had not read a David Baldacci book before now, so when Grand Central Publishing sent this review opportunity my way, I jumped at it because I wanted to try a book of his. He is a local author, I have gone to a signing of his and yet hadn't read him, so putting him on my review calendar would make me sit down and try one! I knew I was jumping into a series midway, but I also knew that each book was self contained other than a little of the main character growth. Overall, the book was just fine. Will Robie and Jessica Reel were great, there was enough detail given to know about the things of the past that probably happened in previous books, so I didn't feel clueless about them and their past with each other. 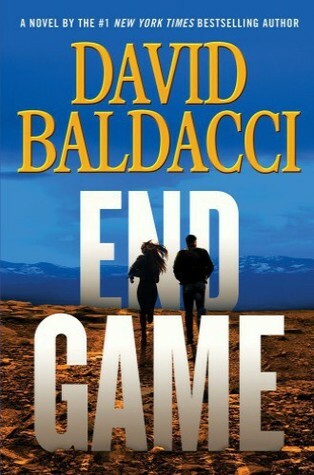 I would say my biggest complaint is Baldacci in the weirdest parts gets super wordy. He was over explaining guns or military things or just the most uninteresting parts would get over explained and he lost my interest. I would have edited down those bits to keep the story moving along. It ruined the pace and with these kinds of books pace is everything. I would read another David Baldacci book in the future, but this is not one of those authors where I am going to start hoarding everything from their backlist and go to town. I think I would read one of his once a year when I need something that turns the page and can just be a "quick" weekend read.